SNIP: Over the period of a year, monarchs produce four to five generations. The last and longest-lasting of them is born between August and October. Unlike their predecessors, which live as butterflies for a mere two to four weeks, these monarchs survive for six to eight months. After staying put over the winter in Mexico or California, they disperse in March or April, spreading far and wide in search of milkweed upon which to lay their eggs, which will morph into caterpillars that become the next generation of butterflies. The final generation in this yearlong cycle will return to the same California coast as their ancestors did. 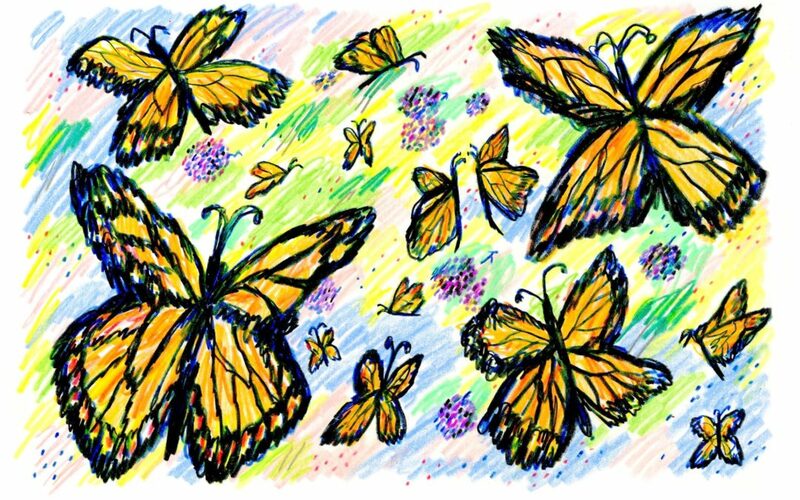 How these butterflies find their place of origin remains a mystery. Fewer butterflies means fewer birds, and we need birds, in part, to help control other insects, like mosquitoes, that carry dangerous diseases. We acknowledge that the biotic world only works by way of the networks that connect each species in a web of life. We must take account of our role in the demise of this species, a consequence of habitat loss, climate change, and pesticides and herbicides, if only to help us understand how to rebuild the population.